Summary: Erickson Consulting Engineers, Inc. (ECE) was commissioned in February 2005 to coordinate the tasks necessary to fund, plan, design, engineer, permit, and prepare for the construction of the Blind Pass Restoration Project. Challenges: The new and unique nature of this project was characterized by both a mixed sediment and large sediment separation containment area for dewatering and offsite disposal; 80+% was beach quality sand that was directly placed on the beach. Schedule and Budget: The project budget was maintained. The schedule was delayed by FDEP due to unique nature of the project and mixed sediment quality concerns. 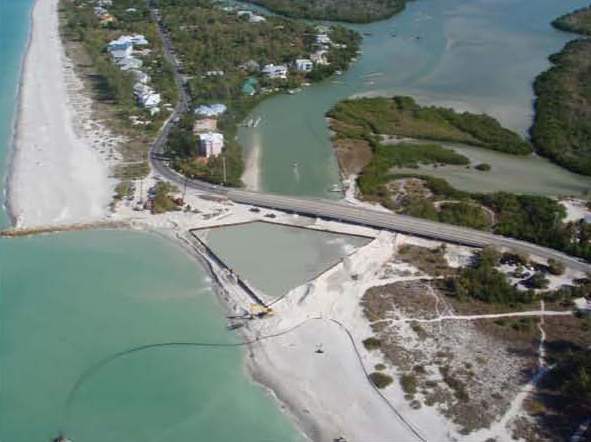 The Blind Pass Restoration Project constructed a new inlet and interior tidal channel to reopen the pass which closed in 1998 as a result of cross-sectional instabilities. 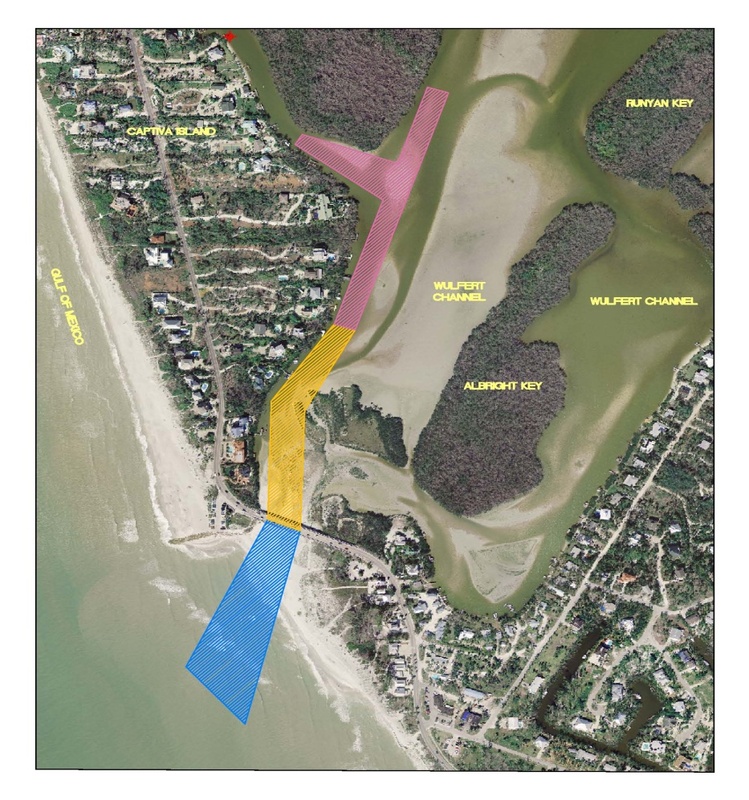 Large-scale hydrodynamic modeling was conducted to design the channels to improve circulation to the adjoining bayous and interior bay and assess impacts to flows at adjacent inlets.The project placed high-quality sand on adjacent eroded beaches, restoring the natural tidal flows and sandy bypassing to Sanibel Island beaches.